This was a weird purchase for me. I'm more familiar with David Thewlis' work as an actor, specifically his work in the Harry Potter films, so when I found out that he'd written a novel I had mixed feelings. On the one hand, I like what I've seen of him. On the other, I only knew him as an actor, so there was no real guarantee of whether he'd be as good in a different profession. But I decided to pick it up anyway, because I've started reading something on far worse expectations before. The Late Hector Kipling is an odd book, to say the least. It follows the catastrophic fall of the eponymous Hector Kipling, an artist known for painting giant heads. He starts the novel in that odd place found by those who are moderately successful: famous enough that the name rings a bell, but not quite successful enough to be widely known and discussed. In comparison, he has two other artist friends: Kirk Church, a failed artist obsessed with painting cutlery, and Lenny Snook, an artist up for the Turner Prize (and very much in the vein of Damien Hirst and Tracey Emin). So far, so innocuous. It is only when Kirk announces that he has a brain tumour that Hector's life starts to spiral out of control. The characters populating this book tend to fall into one of two categories: unlikeable or just kind of bizarre. In the first category, there is Hector himself, as he manages to single-handedly destroy his whole life through the combination of selfishness, cowardice and a weird apathy and detachment towards others. He is not wholly detestable though, which helps things hugely. Most of the other characters tend to fall more in the bizarre category, simply because of their oddly two-dimensional natures. This might be because of Hector's strange outlook on things though, which could bring up some interesting discussions. As to who I would recommend this to, there are a few things to consider. The writing is, on the whole, pretty damn good. 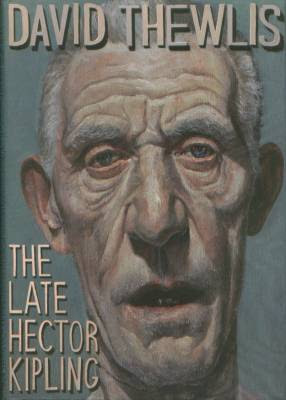 It can get a bit overly-snobbish when it comes to art, but then that fits Hector's character as a second-rate artist. At the same time, it does have quite a bit of bad language, which may bother some. And overall, there are some very strange, if interesting, metaphors sprinkled liberally through the narrative. So there's that to consider. If you're on the fence, I would say give it the benefit of the doubt. I would definitely recommend it if you've been looking for an author similar to Will Self, although I would say that David Thewlis is perhaps more accessible than Self is.